Menu below links to Fleet-specific content. Off-wind capsizes occur because the boat is harder to balance against changes when the apparent wind is behind you, especially in a breeze. Consider the differences between upwind and off-wind sailing. Upwind, the heeling force is always to leeward, so you’re facing a one-dimensional situation. Off the wind, the direction of the heeling force can change rapidly. Upwind, you can reduce the heeling force by easing the sheets, depowering, or heading up. Off the wind, these techniques don’t always work. The best resource we’ve see on this topic is a video from Rooster Sailing’s Steve Cockerill, which we captured in our post on Gain Dinghy Handling Skills. It’s 45 minutes long, but well worth watching. Boom is out 80-90 degrees in heavy breeze. The top of the sail projects at 90 degrees to the boat or slightly forward of 90 degrees due to wind pressure. Crew weight is to windward to heel the boat and balance the overall force of the sail. A puff pushes the top of the sail further forward of the mast, which pushes the mast to windward. With no crew weight to leeward, the boat rolls quickly to windward. If the puff is big enough, the boat can death roll immediately. If the crew responds by shifting weight in, this accentuates the roll back top to leeward when the puff diminishes. In gusty winds, the crew is unable to keep up, resulting in oscillations that eventually become too big to control. With too little vang, the upper leech is loose and will move forward quickly in a puff. To prevent this, add vang as the breeze builds. However, with too much vang, you can’t steer up and down in waves, because the top of the sail becomes unforgiving. If the sail is out too far, you get the same effect as too little vang. You can mitigate this by sheeting in the main to keep the top of the sail from going too far forward. Hold one part of the sheet in your hand and trim quickly if the boat starts to death roll. However, if you sheet in too much, the lower sail will cause weather helm, which makes it harder to steer. In waves, you probably want to avoid sailing directly downwind because of these limitations on your ability to steer through the waves. Cockerill calls sails “unhappy” when they are over- or under-trimmed off-wind. An over-trimmed sail adds weather helm and makes the boat heel to leeward and round up in gusts. The extreme example of this is a broach: the rudder has too much pressure on it and stalls. The boat then rounds up broadside to the wind and capsizes. An under-trimmed sail makes the boat heel to windward. This can lead to the death roll discussed above. To prevent unhappy sails, find the right sail trim for the point of sail, so that the driving force of the sail is in line with the boat’s heading. Bethwaite shows how a fast-moving boat rolls when steering. Powerboats and sailboats with their boards up roll into the turn, because the water piles up against the hull on the outside of the turn. Sailboats with boards down roll away from the turn, because the moving water pushes the board in the direction of the turn heeling the boat in the opposite direction.. Using this fact, the best way to prevent a capsize in a gust when off-wind is to bear off and steer the boat under the rig. Bearing off rolls the boat to windward, away from the turn. This technique also helps prevent capsizes in a windy gybe. Think of the gybe as an S-turn. Steer down to leeward to start the gybe. As the sail comes over, steer the other way to get the hull back under the rig. Steering for balance will also make you faster in reaches. The effectiveness depends on how deep you are reaching, boat speed, hull shape, and how much board is showing. Experiment with your boat to find what works best. The rudder does more than turn the boat. If the rudder is off center, the moving water pushes on the rudder to heel the boat, just like the force of the wind on the sails. Think about this for a minute. If you were being towed with no sails and boards up, which way would the boat heel if you pushed the tiller to starboard? Answer: the rudder would move to the port side of the boat. The water would push against the rudder to push the port side of the boat down and lift the starboard side of the boat. The boat would heel to port. So, when you move the tiller, the boat heels in the opposite direction. Cockerill shows this with a model boat at 3:50 in the video. This effect is important in lightweight boats like lasers when sailing directly downwind. In the video at 1:07, Cockerill shows how tiller movement contributes to death rolls. If the boat starts rolling to windward, pushing the tiller to leeward will amplify the windward heeling force. So, another trick to prevent death rolls is to bear off when the boat starts rolling to windward. If your board is too far down off-wind, besides the additional drag, you are more susceptible to broaching, discussed above. This is due to the additional weather helm and the tendency to roll to leeward when turning up. If your boards are too far up, the steering for balance technique discussed in the steering section above won’t work. Your turns will be wide and the boat will roll into the turn. Putting your board(s) down further can add roll stability in waves. What’s the optimal MC Scow board position for sailing off-wind in breeze? In waves, our MC Scow experts recommend putting both boards down 1/4 to 1/3. See our post on Sailing Downwind in Waves for more. In flat water, one board down 1/4 to 1/3 is conservative. Try less board for more speed when you’re confident about preventing a capsize. Use more board when steering is important. Balance changes quickly off-wind. If you’re not ready to move your body, you could be toast. Cockerill has a nice discussion on this at 8:06 in the video. He shows how passive body position leads to capsizes downwind. Feet planted and leg muscles engaged. Even though you may be sitting, have your feet in a stance to let you move and stand or crouch quickly. Have your quads and hamstring muscles engaged. Shoulders out. If your weight needs to be out, lean out with your shoulders rather than moving your whole body out. It’s easier to adjust your weight by leaning in and out than by moving the whole body. UGA Sailing – 4 Starting Strategies – Overview of starting strategies and tactics. Will you share your knowledge with your related Comments below? Our mission is to provide the quickest and easiest path for racing sailors to improve their knowledge and skills. Copyright © 2018 - SailZing, LLC. All rights reserved. 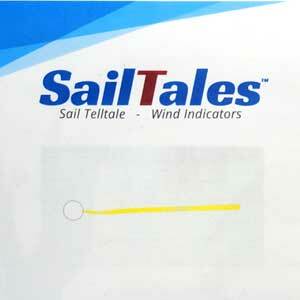 "SailZing", "StayTales" and "Stimulating Learning For Sailors" are trademarks of SailZing, LLC.